A couple years ago, I was looking for something to do with the kids. I asked the little ones if they had any interest in going to a Johnstown Tomahawks hockey game. They said, yea sure. For some reason I found that the tickets were actually cheaper through Tickemaster than buying them directly from the 1st Summit Arena site, like half the price cheaper. I was able to get really good seats, 2nd row from the glass seats, for $13 for adults and I think it was $10 for the kids. I wasn’t a huge hockey fan, but it was something to do. I could not believe how much the little ones and I enjoyed the experience. They really knew how to make it fun. The kids were cheering, there was a lot of action, they got the crowd involved, it was really a good time. Even the refreshments were reasonably priced. 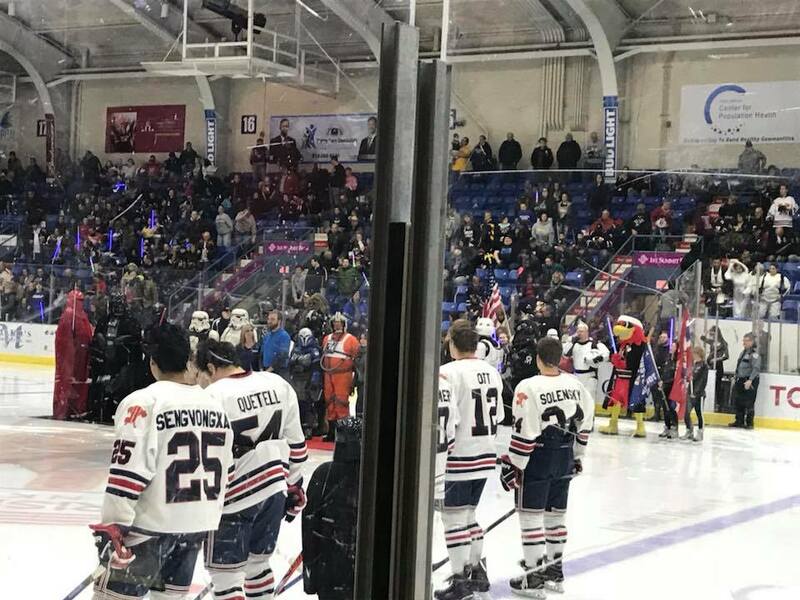 The experience made me a Johnstown Tomahawks hockey fan. We had such a good time I had to tell my husband (who couldn’t go because he had to work). We decided for the whole family to go, even take my older boys girlfriends. That was 8 of us going and it still was under $100 for all 8 of us to get tickets when buying through Ticketmaster. To be clear, this was for regular season games not playoff games. The Johnstown Tomahawks do theme nights. 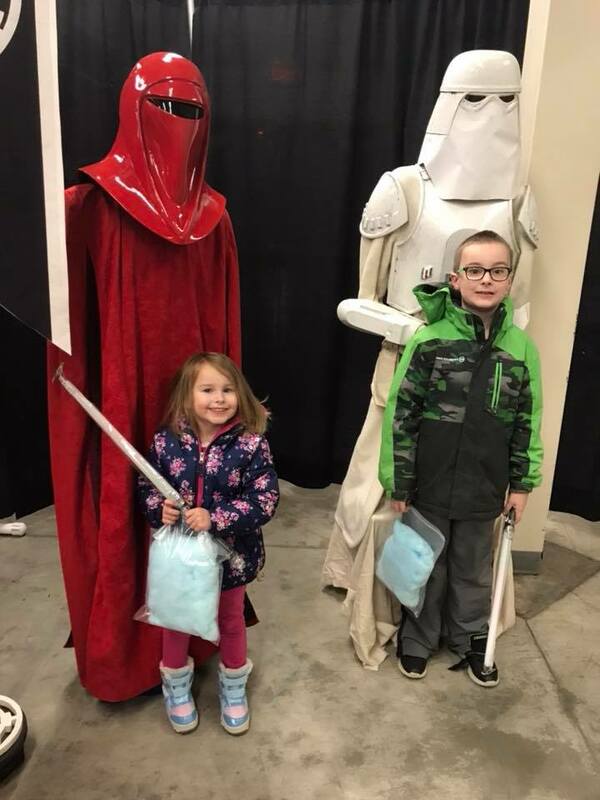 We planned that big family trip for the Star Wars themed night. All kids 12 and under got light sabers. They had tons of costumed characters and lots of vendors set up. Since then we’ve made it a point to try to get to a couple games a year at least. Season ticket are still a little out of our reach for a family of 6 but there are definitely perks to getting season tickets. We hadn’t made it to a game this year and we actually won a 4 pack of tickets from a facebook giveaway thanks to Pennhighlands Community College. These weren’t just any tickets though, they were Robertson cup playoff tickets! The first time we had a chance to go to a playoff game. A lot of action at this game. I have no idea how much playoff tickets usually run since we won our tickets. We had a good time though. My husband and I have talked about doing a couple Tomahawks games for a date night here and there. 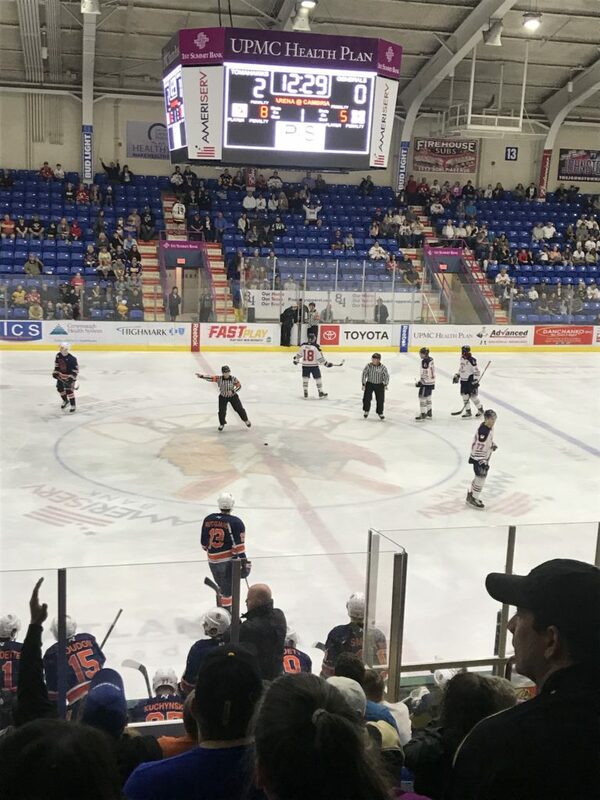 Tomahawks hockey season runs from about the end of September and can run into April with playoffs. Get a Johnstown Tomahawks schedule to see when their theme nights are. They have lots of them: Star Wars, hero and princesses, and more to get more bang for your buck for the kids. You can purchase blue and red hockey pucks for a small donation. These will be thrown out onto the ice during an intermission. If you hit the target they put on the ice you can win big money! There are tons of food vendors all around the building from funnel cakes, to shrimp and fries, to dippin dots ice cream. Some vendors are more affordable than others so shop around. There are always lots of marketing tables with raffles to win things like hockey sticks, jerseys, gift cards, tickets, and more. Some are for a fee and some are free you just have to check. There are always vendors giving away free stuff. The kids got yoyos, we all got free raffle tickets for a chance to win a hockey stick, I got chapstick, and a sunglass pouch. All free. The Johntown Tomahawks merchandise is more affordable than you would think. The kids can easily get a souvenir like a branded cowbell, foam hand, and more for $5 or less. Get a schedule so you can see when theme nights are scheduled for even more fun for the kids and bonus freebies. Every year the Children’s Book Festival is held at the Bottleworks in the Cambria City section of Johnstown. The area itself has become a cultural district featuring the Discovery Center, Ethnic festivals, and more. The Bottleworks itself displays art from local artists and offers many classes. 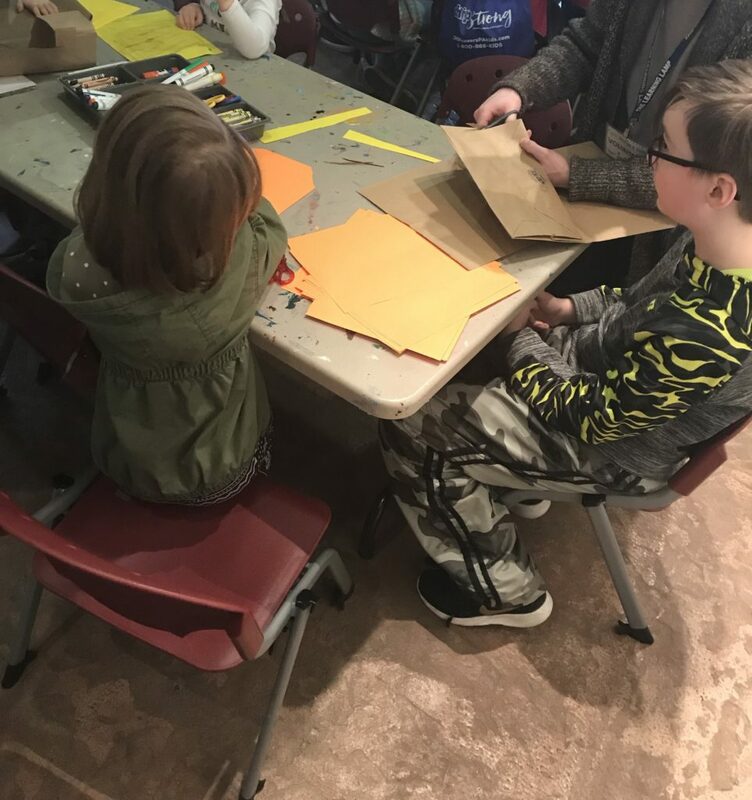 The first weekend of April draws families from all over the area for the Children’s Book Festival. This free event centers around children’s books with authors, illustrators, and local businesses and educational resources pregnant. In fact, I credit the Children’s book festival for helping us discover my son’s lazy eye. The blind association was there the one year and was offering free vision screenings. I took advantage of this with my kids. They had these cool, 3D goggle looking things that tracked the eyes and they noticed my son’s one eye was off. They suggested we take the info to an ophthalmologist. We did and found that my son has very low vision in his one eye due to a lazy eye! I got off track there but there are so many great services present to learn about. There are craft tables galore for the kids to do for free. The volunteers are all so pleasant and helpful. 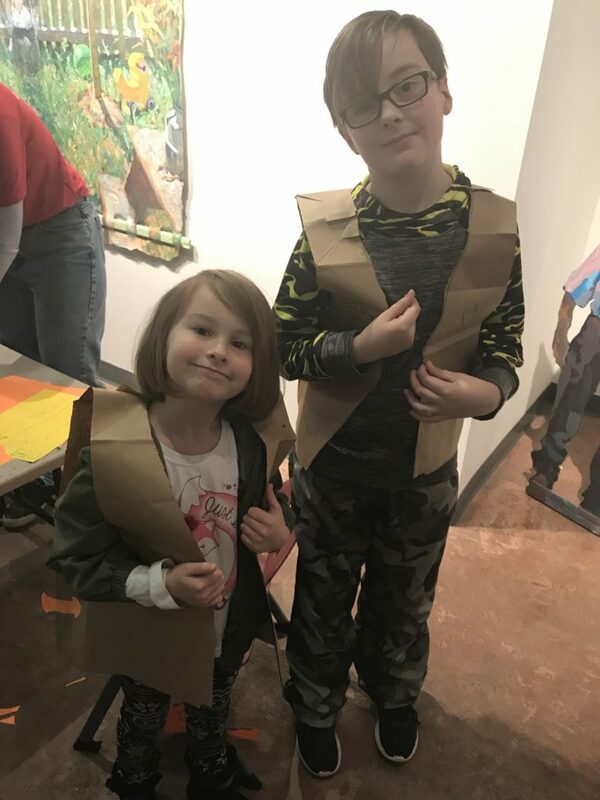 The first station we stopped at this year, the kids got to make vests out of paper bags. They have a number of special events available at different times throughout the weekend. Joe Wos, a professional illustrator and maze maker, offered an illustration workshop for kids in grades 3rd to 6th grade. An awesome opportunity for kids to learn some tips and trick from a real illustrator. Camtran, the local public transit system, has been present the last few years. 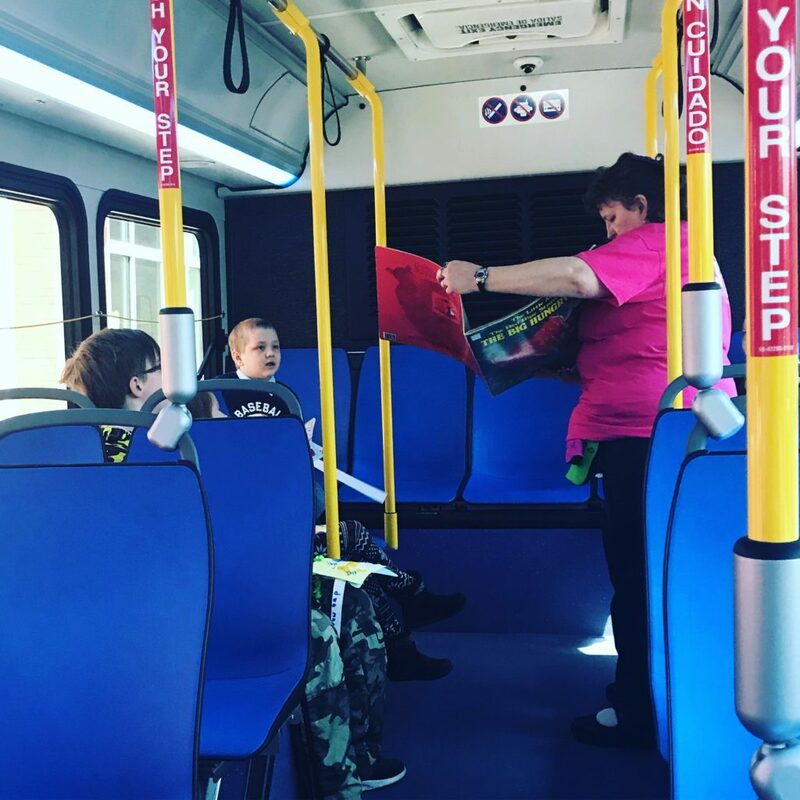 The kids have an opportunity to board the bus, talk to the bus driver, explore the bus a little. This year they also offered story time on the bus. The Children’s Book Festival of Johnstown has a book sale with new books but they also have a used book sale. My kids each picked a book from the used book sale and they were only 50 cents each! Another awesome thing they do for the kids is, every kid that attends get a FREE brand new book. They have a table set up with all kinds of titles for babies up to middle school age. So no kids walks away without a book they got to choose. I think this is awesome that they do that. It’s fun to interact with the businesses, authors, and illustrators. We enjoy seeing Julie from Macaroni kids for the Johnstown/Altoona/Laurel Highlands area. Always there with a smile and macaroni necklaces for the kids to make. They really enjoy this craft! 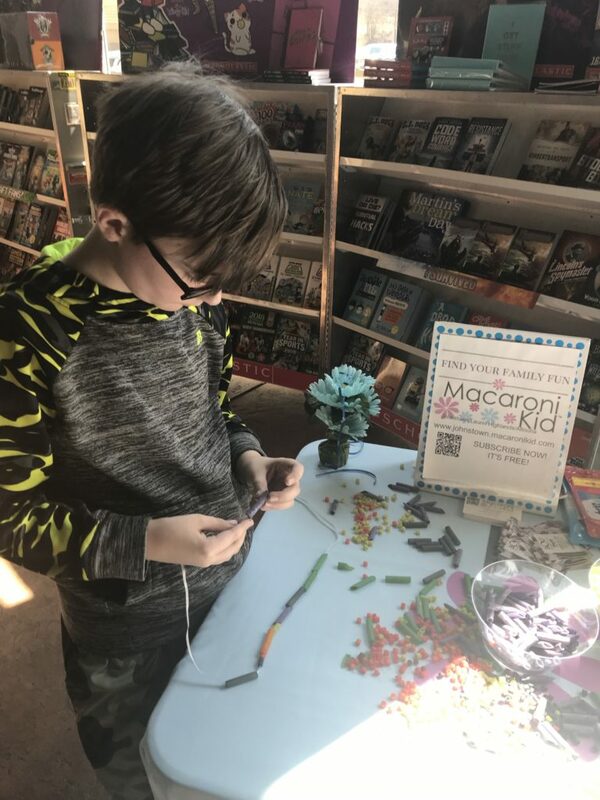 There’s so much to do at the Children’s Book Festival of Johnstown, we usually don’t get to do it all. They have food truck available outside, face painting, and more. This event really renews my kids’ interest in reading. 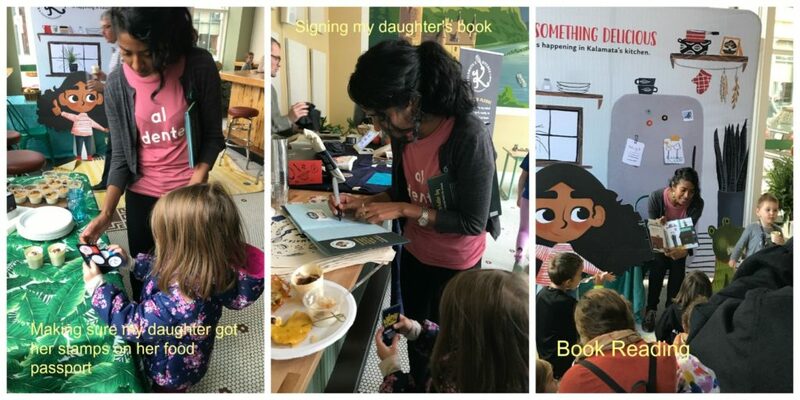 It’s a great way for kids to meet the people that actually write some of their book. It’s a great way to learn about local resource for kids. Huge thanks to all involved in this festival. It is definitely something my kids look forward to each year. Because it’s a free event and every kids walks away with a free book, it’s help bring people from all walks of life together to share in the joy of reading! Kalamata’s Kitchen is a fun children’s book that encourages children to explore foods. With my youngest 2 children they can sometimes get pretty picky when it comes to food. We’ve always had a rule in our house though, you’re not allowed to say you don’t like unless you’ve at least tasted it. 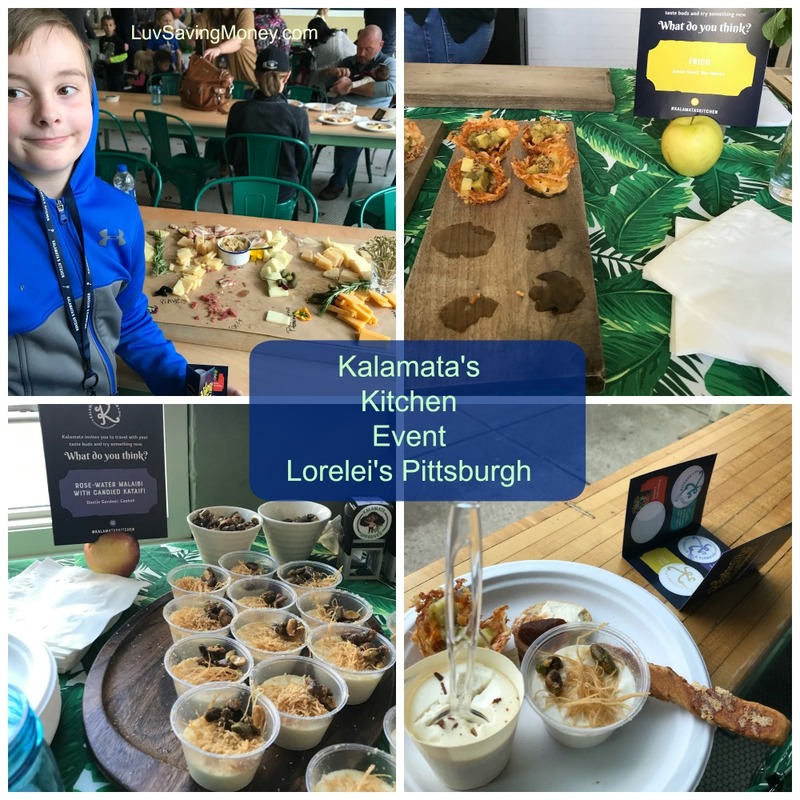 The Kalamata’s Kitchen book event and tasting we attended was at Lorelei restaurant in Pittsburgh, PA. Located at 124 S Highland Ave in Pittsburgh a cocktail bar and beer hall with food inspired from Germany. The restaurant itself was very airy with lots of natural light and plants. Located in East Liberty it’s not far from lots of shopping areas, Children’s hospital, and many health clubs. We ended up being a tad bit late but I was so excited we still had plenty of time to participate in everything. 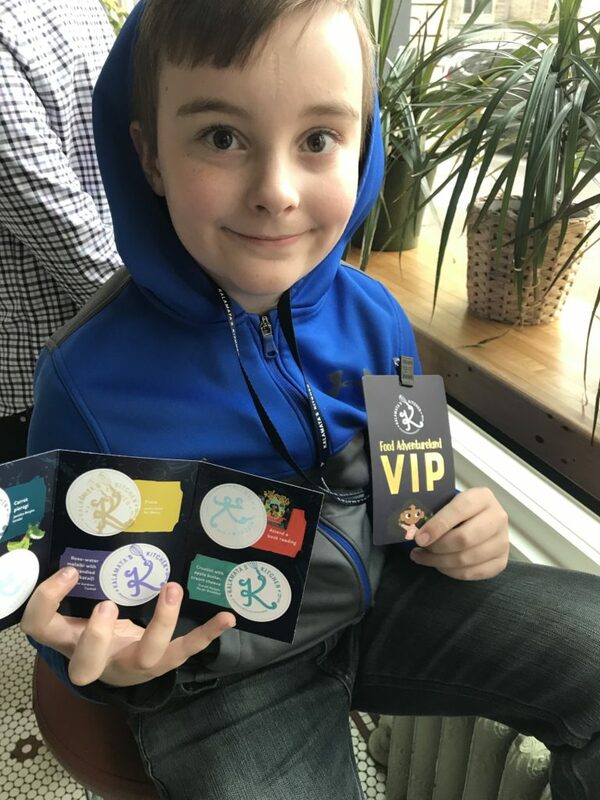 When we arrived the kids got a VIP pass, a Kalamata’s Kitchen food passport, and an official Taste Bud card. If the kids at least tried each of the foods they were able to get a stamp on their food passport. They had interesting and tasty options such as carrot pierogies (which was actually one of my faves), salted caramel mousse, rose-water malaibi with candied kataifi, Frico, and more. Other participating Pittsburgh restaurants included Bar Marco, Casbah, Pie for Breakfast, Cafe Carnegie, and of course, Lorelei. We also had an opportunity to meet and hear from the team that created Kalamata’s Kitchen including author Sarah Thomas. Sarah had a book reading with those that participated in the event. She was so kind and took the time to sign books for those that asked. We really have some wonderful places in Pittsburgh. I’m so happy that we were invited to the Kalamata’s Kitchen event. 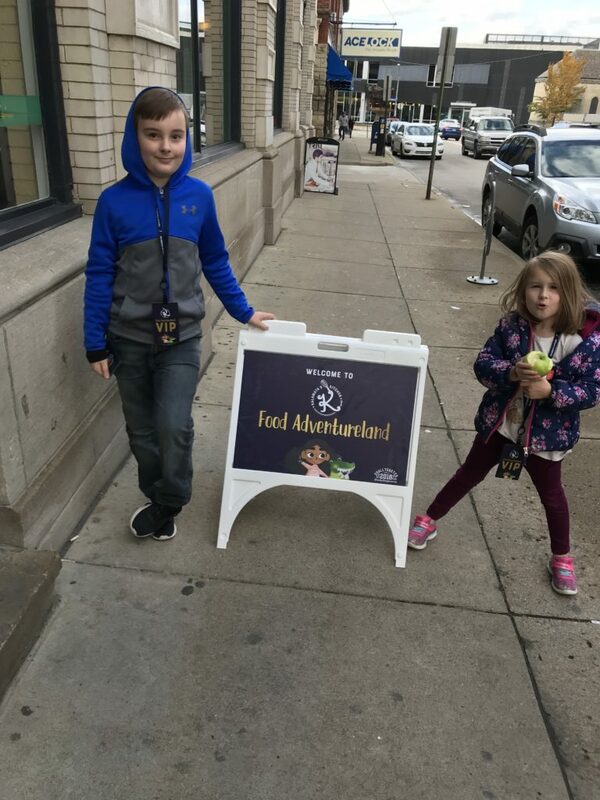 As I sampled with my kids I realized what a wonderful place Lorelei would be for a date or to just slow down in Pittsburgh for a little bit. 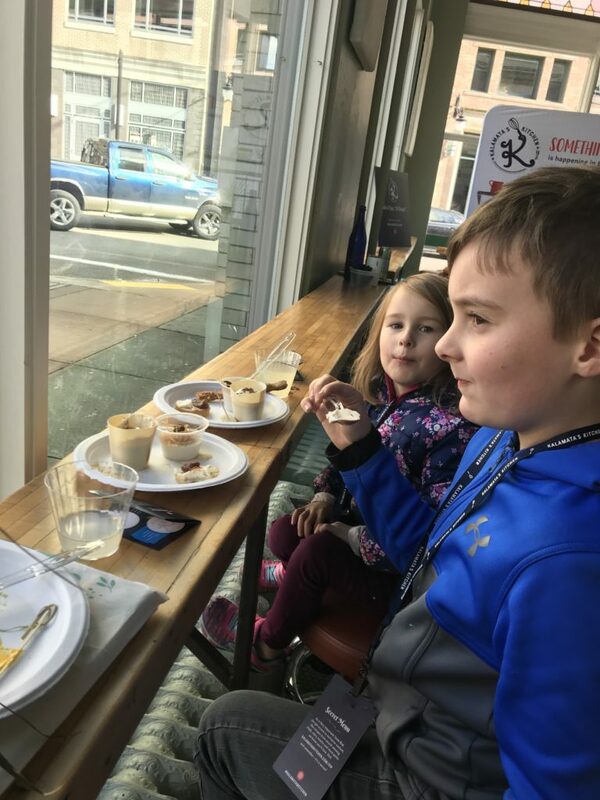 I’d love to just sit at the window like my kids did while nibbling on chef’s delightful creations, maybe a glass of wine and just people watch. I could spend a couple hours there. My kids have walked away from a new experience. They got to send their tastebuds on an adventure. I think they learned a little bit about the work that goes into a book. 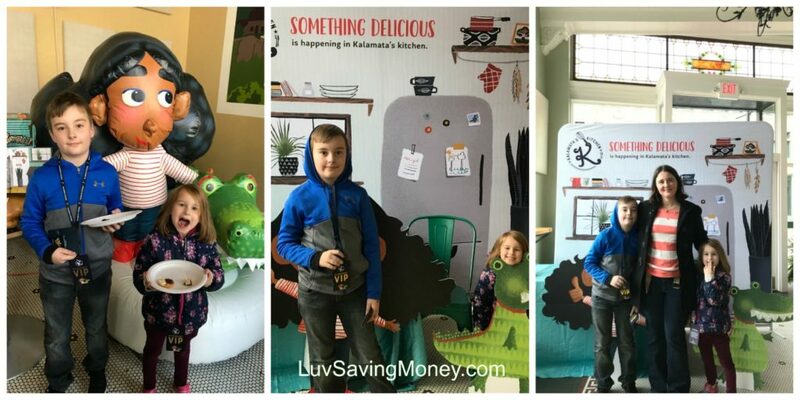 They did a great job at setting up to really pull kids into the book with the characters and Kalamata’s Kitchen set up. 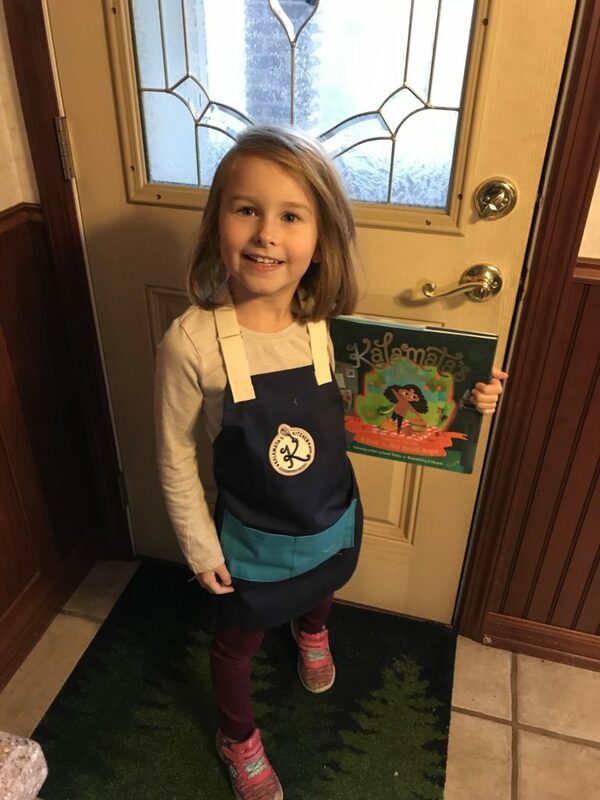 My kids also came home with Kalamata’s Kitchen book and an apron which my kids just love. My daughter is now talking about wanting to have a restaurant one day lol. We just returned from our most recent vacation from Topsail Island, NC. This is one of our fave vacation spots for lots of reasons. We did a lot of things on this trip that we couldn’t fit into our schedule last trip. Ecological Marine Adventures let’s you connect with the marine life in a new way. They offer everything from 1 hour ghost crap hunts to week long summer camps and homeschool opportunities. They even do parties. We went to Topsail May 21 – 28. 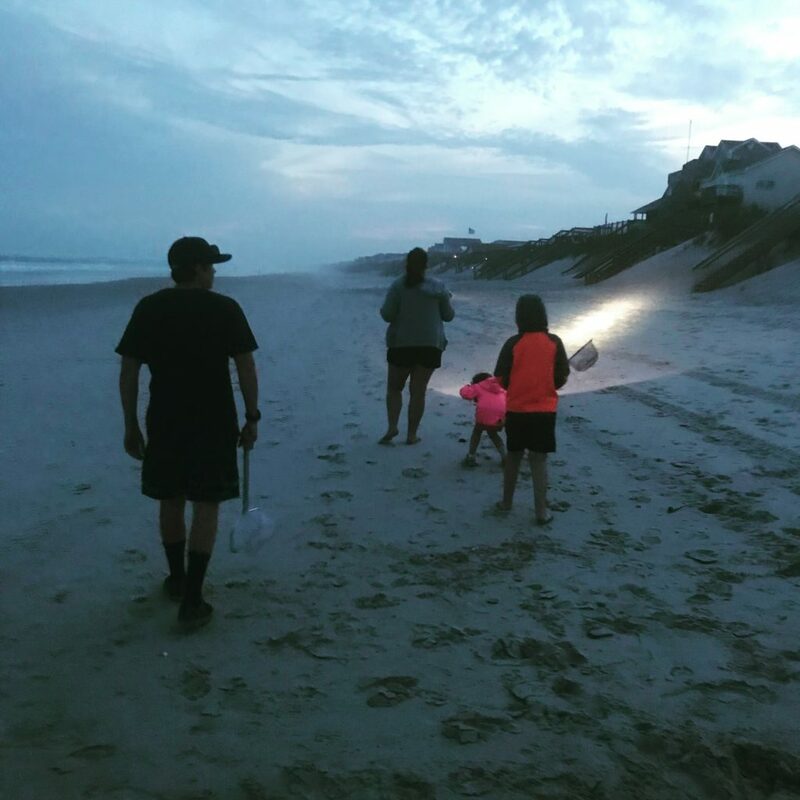 When we looked on the site we did not see any ghost crab hunts available to schedule. When I visited their facebook page they had an update about someone finding a ghost crab. I decided to message them to see if they have any ghost crab hunts available. I figured it couldn’t hurt to ask? They were so nice and accommodating. They opened up a date for us. I booked it for my family immediately. When the day came there ended up being two other families with us. The other families were so much fun and all the kids had a good time. 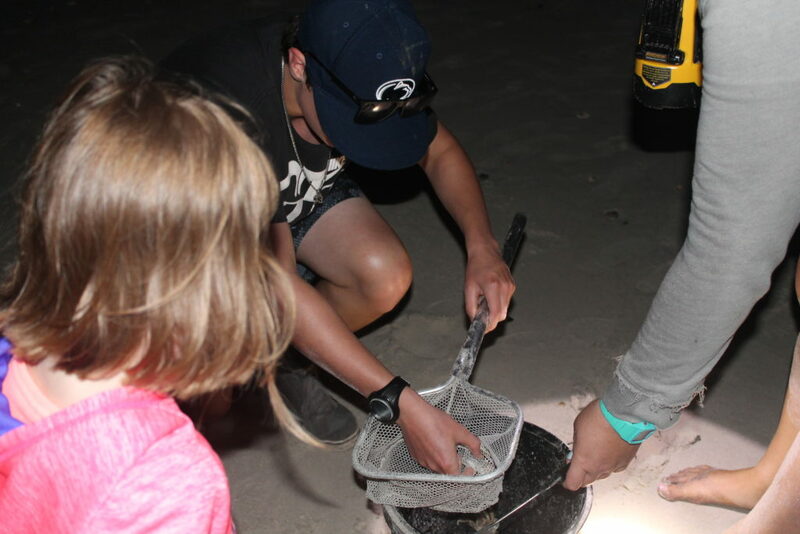 Our instructor educated us on ghost crabs, their evolution, and other interesting facts. They provide all the equipment you need for the ghost crab hunt. All the kids had a chance to collect at least one crab but most caught multiple crabs. Everyone from my 5 yr old to my 14 year old son had a good time. Our group caught 42 crabs. Our instructor told us that the record was 44 but we set the bar for this year. 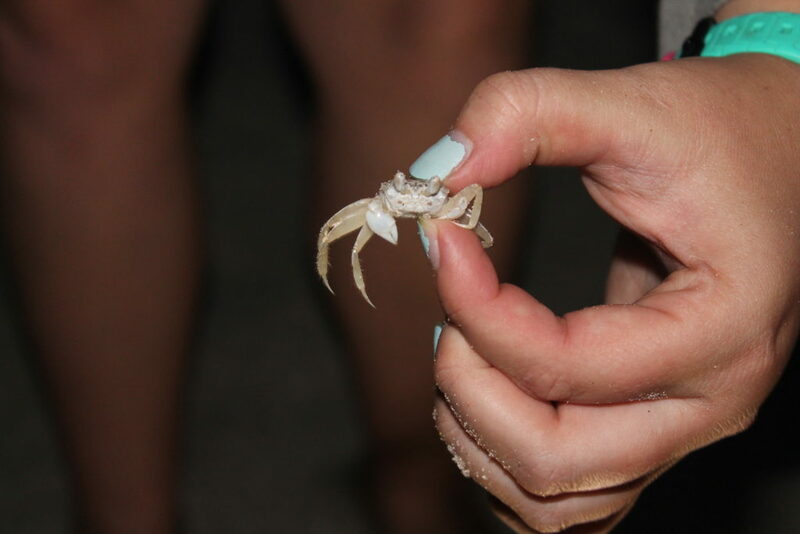 When my daughter caught her first crab she was so excited she started running in place and clapping her hands. This activity is educational, it’s an active activity, and it’s fun for families. If you’re wonder yes it was catch and release. They were collected in a bucket and counted then released at the end of the hunt. They also have surf and stand up paddle board classes, half day camps, and whole day camps . They even host free classes on Tuesdays. Check out Ecological Marine Adventures facebook page for updates on free classes and to see pictures from their classes. I’m a mom of 4. I also have anxiety issue. 2 of my kids are teenage boys. They run around all summer with their friends, ride bikes, play football, and hang out with their girl friends. My boys are pretty good about checking in with me via phone every so often. Sometimes though there is a delay with replies if they’re into a football game or don’t here the text go off. Admittedly sometimes I wonder if they really are where they say they are. If I need to get a hold of both of them I have to send them each texts or phone calls individually. For some reason, I have issues with my texts at times (I really need to talk to my carrier about that). But there is an app called MamaBear that can help give me some piece of mind and it’s a lot more affordable than you might think. It’s a family communication app. You can add your whole family to the app. Once everyone has the app downloaded you can do a lot of cool stuff with it. Enter in safe places, like a grandparent’s house for instance, and when they stop at their house you get a notification that your child is there. On the other hand, if there are places you absolutely do not want your child to go, you can plug those in too and the app let’s you know that they are there as well. Monitor your child’s social media. You can put in keywords for the app to monitor and if those words show up in their social media it can alert you. 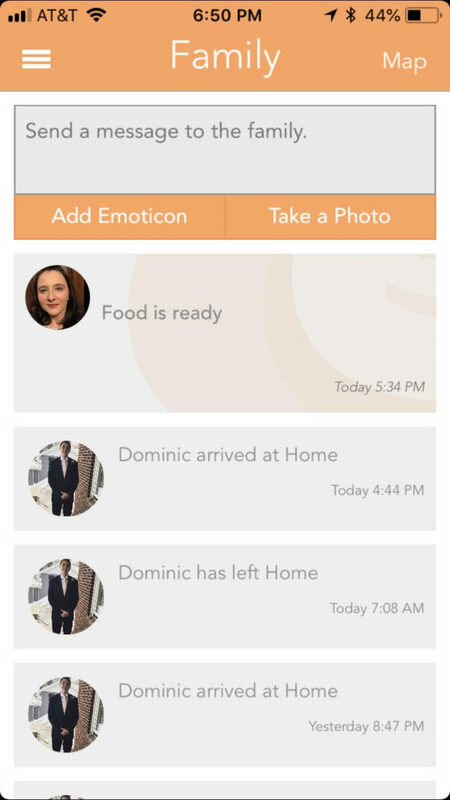 Send messages to the whole family with the family messaging system. I actually find myself using this more than I thought. Even for little things like letting the family know when supper is ready. 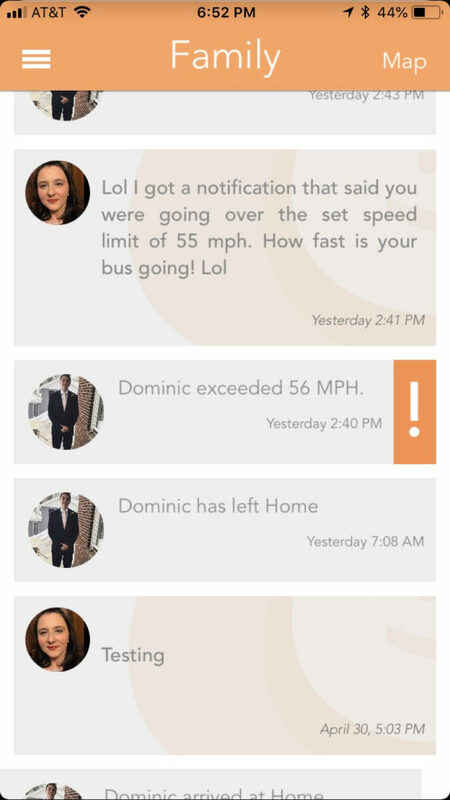 If you have a teen of driving age you can set speed notifications. If your teen surpassed that speed you’ll get a notification. lol I actually got a notification the other day when my 14 year old son was on the bus and the bus drove past our house! There is also text message monitoring. Unfortunately at this time it seems to only be for android users and we all have iphones. Maps allows you to see where your child is too. Very affordable. There is a free option for ads which everyone can use. But a paid ad-free subscription is available in monthly, 3 month, and 6 month subscription plans. 6 months is only $24.99 total. For as much as this app does and the peace of mind it can give, it’s a real bargain. More affordable than a lot of apps out there. How can I get the MamaBear app? 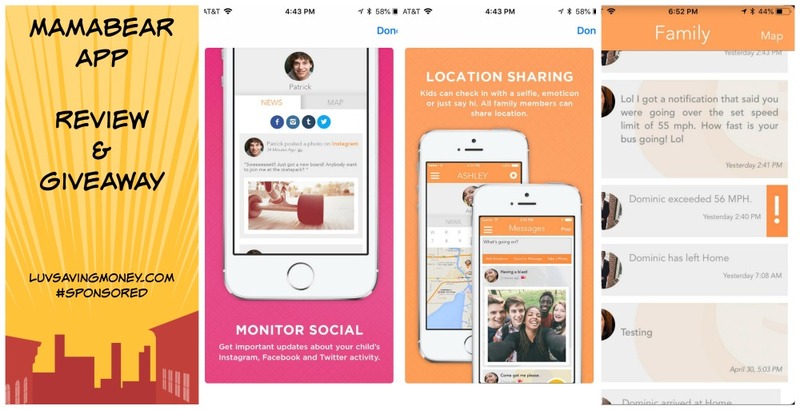 MamaBear is available for both apple and android devices. Visit mamabearapp.com for more info, subscriptions, and download links. MamaBear App Giveaway 5 winners!